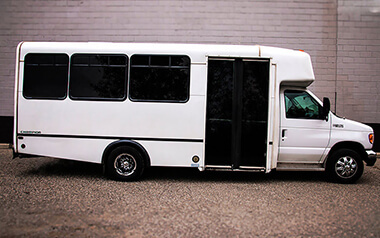 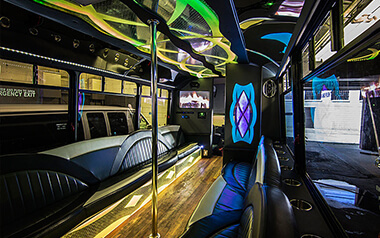 Getting into the larger selections of our fleet, our 24 passenger party bus is a spacious vehicle that will surely be a crowd pleaser! 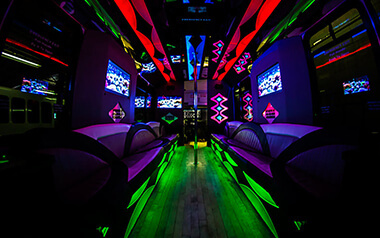 The interior of this vehicle offers comfort and space for dancing and relaxing a like. 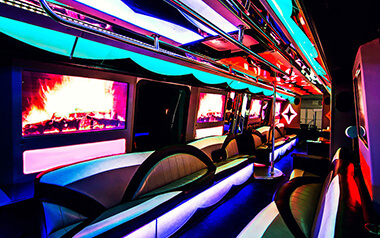 The features on board will ensure that you have a great time celebrating!